February 3, 2016 (Phoenix, AZ) — Boxer Property is proud to announce the latest lease signing at Lakeside Center. Southwest Annuities Marketing, LLC d/b/a Unkefer & Associates signed a multi-year contract taking over the entire first floor (16,332 rsf) of Building “C” at 11225 N. 28th Dr in Lakeside Center. MaryLou Rogers, Leasing Representative, Brian Cole, Regional Operations and Leasing Supervisor, and Alex Kakhnovets, Director of Leasing, represented Boxer Property and negotiated the lease terms with Unkefer & Associates’ Attorney. 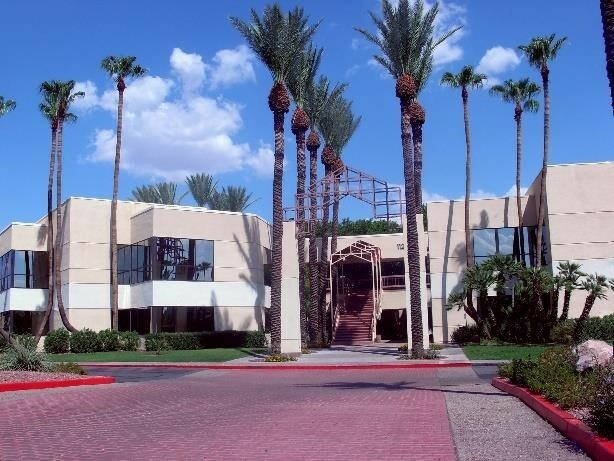 Lakeside Center located at 11225 N. 28th Dr in phoenix is a two-story professional office environment with a total of 152,600 square feet of office space for rent. The Center features lush landscaping and fountain courtyards surrounded by beautiful palm trees throughout the resort-style professional environment. Tenants enjoy ample surface and covered parking, a common area conference room, recent renovations, and suites with scenic garden and lakeside views. Delicious lunch options can be ordered at the on-site deli, while security cameras, video surveillance, and an exterior lighting system provide safety and peace of mind. Unkefer & Associates is a national annuity and life marketing organization involved in product design and national sales distribution. The company’s goal is to be the number one resource for independent agents in their annuity and life sales efforts. Unkefer & Associates has been the number one resource for independent agents, agencies and marketing firms since 1994.